i made a quick decision to park a little bit away from this one. not real sure that marketing is one of their strengths either. Haha! Yeah, not the best advertisement! I wonder how others would rate us? Ha ha! I would have parked elsewhere as well! I think they do a bang-up job, Beth. 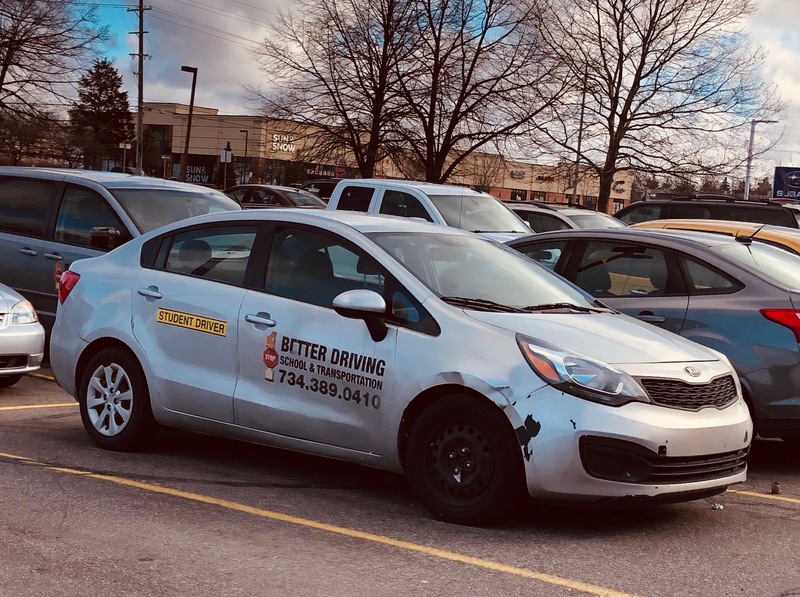 Does that say BITTER driving? Or BETTER driving? ????? I think they need to at least get the body fixed. They’re not a good ad for themselves. Thanks for my first laugh of the day – much needed! Hahahahahaha…Park far away…very far away. So funny. Yeah….probably in their best interest to get that fixed ASAP. OMG. Hahahaaa! You made a wise call in parking far, far away. They’d probably still hit something in an empty parking lot.